I’m Toni, and I created this little website about how to stop hair loss for men to help others find a solution they could use at home. See, after noticing that many men have thinning hair, my sons included, I decided to do some research, found this product, and decided to share this info with others who may also be losing their hair. Now, however, this site is gaining traction among women, my unintended audience. So, …back to more research, and what I’m finding is that, yes, there are many women who are also losing hair – for a variety of reasons. So, now, I’m wondering whether to start a whole new site or just remain with this one. I certainly don’t want to lose my audience, but, at the same time, I don’t want to discourage women from using my site either simply because a specific gender is in the domain name. I may just keep this little site up for some initial info about hair loss, and, if I do work on an additional site, I will notify my readers here as well. For now, feel free to use this site as the resource it is meant to be. Update Feb. 2018: I have created another site: HairLossHelpOnline.com which is geared for both genders. Obviously, that site will be a little bigger, as it will address both male pattern baldness as well as female hair thinning and hair loss in general. I hope you check it out! Please also know that the Daily Lists that are listed on the main menu are not gender specific. For instance, if you click on “Best Sellers,” in the main menu above, it will bring you to another menu page where you can click the daily Best Sellers list currently on Amazon. This list changes, or rather, it’s updated daily, and it will show “Best Selling Hair Loss Products” that may or may not be formulated men or women. 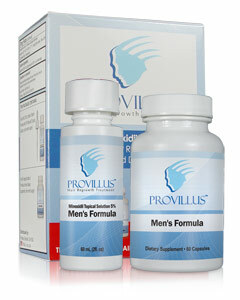 It is just simply – “The Best Seller” hair loss product daily list.